Silvia Moreno-Garcia burst onto the literary scene in 2011 when she won the Carter V. Cooper/Exile Short Fiction Competition (in the Emerging Writer category), and was a finalist for Manchester Fiction Prize. 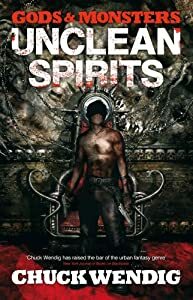 Since then, she’s published two collections of her own short fiction, co-edited a number of anthologies with Paula R. Stiles, and started Innsmouth Free Press, a Canadian micro-publisher of dark fiction and horror. Her debut novel, Signal to Noise, is now available from Solaris books. The novel starts out in Mexico City in the late 1980s, and follows a young woman who discovers she can cast magical spells through music. This was a day and age when you made a mixtape for someone you cared about, and everyone knew how to rewind a cassette with a number 2 pencil, and exactly what that “record” button let you do. She had me at Mixtape. Silvia was kind enough to answer a few of my questions on Signal to Noise, the connections between music, magic, and writing, Innsmouth Free Press, and the best possible use for corners in apartments. Andrea Johnson: Congratulations on your new novel, Signal to Noise. What can you tell us about the story? Silvia Moreno-Garcia: It’s a novel of magic, music and Mexico City. It weaves two different timelines, one in the late 80’s and the other one in 2009. A group of Mexican teenagers figure how to cast spells using vinyl records. Twenty years later one of them returns from abroad for her father’s funeral. AJ: What inspired you to write this particular tale, and to include so much music? SMG: My parents worked at a radio station. I wanted to do something with sound, radio, for a while, but my first attempt didn’t gel. Then I wrote the book that is Signal to Noise. Music is just a natural aspect of the story. It went with it from the beginning. AJ: The story jumps between 2009 and 1988. 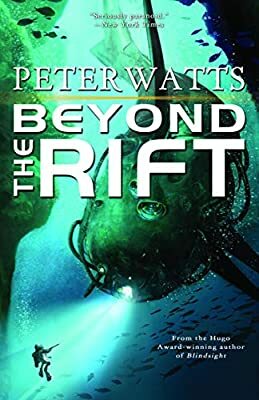 What challenges did you face, if any, to incorporate the flashback scenes, and to keep the reader ignorant of what happens during those lost twenty years? SMG: The story was written in the order it appears, with some minor reshuffling. I had a list of scenes I knew I was going to hit, though not exactly at what point. So I knew adult Sebastian and Meche would meet in the rain, for example, but did not know if it would happen in chapter 4 or 6. Since I had the pieces of the puzzle I didn’t find it that difficult to fit them together. AJ: You had my attention with the word “mixtape”. I have fond memories of borrowing cassettes to tape certain tracks, and waiting for particular songs to come on the radio so I could record them, and meticulously planning the order of the songs. Thinking back, my friends and I put an inordinate amount of planning into the creation of mixtapes! Do the youth of today have any kind of analog to this? With any song they want at their fingertips, do you think they will find a combination of something else to creatively say I’m Thinking of You? SMG: I’m sure teenagers have many more tools nowadays to make this happen, for example, with a YouTube video. But part of the charm of the mixtape is its constraints. You can’t make a fancy cover in Photoshop and you can’t easily get certain music. Any song is available at your fingertips with the click of a button now but a mixtape involved a degree of treasure hunting. Also a degree of uniqueness. It was a specific object meant for a specific person. It could not be duplicated because even if you duplicate the tape you don’t duplicate the totality of the experience. AJ: On your website, you have a playlist for the Signal to Noise. Do you often listen to music while writing? What connection to do you hope readers will find between the playlist and the novel? SMG: The playlist contains songs or artists mentioned in the novel. A reader made a more comprehensive playlist with nearly 50 songs from the book. I was hoping that the readers were curious enough to seek out some of the songs they might not know. Ease of finding music does have its benefits and one of them is that you don’t need to fly to Mexico to find the music of a popular group like Timbiriche. It would, I hope, make for a richer reading experience. AJ: You’re also involved with quite a bit of editing, including a number of anthologies co-edited with Paula R. Stiles. How has editing changed your writing process, if at all? SMG: It hasn’t. It has helped with soft skills like time management or organizing myself. AJ: Which have been the most fun anthologies to work on? Which have been the most challenging? SMG: My first solo anthology, Dead North, was a bit challenging because I didn’t have Paula to bicker and argue stuff with. It was all on me. I am also very fond of Fungi, the anthology I edited with Orrin Grey. This was probably my dream anthology, a book with stories exclusively about mushrooms and fantastic fiction. Paula and I are editing She Walks in Shadows right now. It’s the first all-woman Lovecraft anthology. It should be out this fall. AJ: You’re also the publisher of Innsmouth Free Press, a micro-press that specializes in horror and weird fiction. How was Innsmouth Free Press born, and how is a micro-press different from other types of small publishers? SMG: Paula R. Stiles and I talked in 2009 about the idea of doing something with Lovecraftian and Weird fiction, and this is how IFP happened. As far as a micro-press, it’s a nice way to say the “offices” of IFP are literally a corner of my apartment. AJ: Thank you so much Silvia! Great interview! Signal to Noise is one of my favourite books I’ve read in a long time. 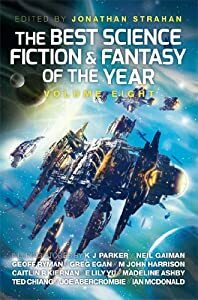 There is still some time left for you to enter our giveaway for The Best Science Fiction and Fantasy of the Year: Volume Eight edited by Jonathan Strahan...but hurry, time is running out! See the original post for details on how to enter.